My company, Chef Rachel Zierzow, started in 2006. For about 10 years, I taught natural foods cooking for the professional chef training program at a plant-based cooking school in Austin, Texas, and also was a healing personal chef for individuals with serious health conditions or those wanting to achieve optimal health. 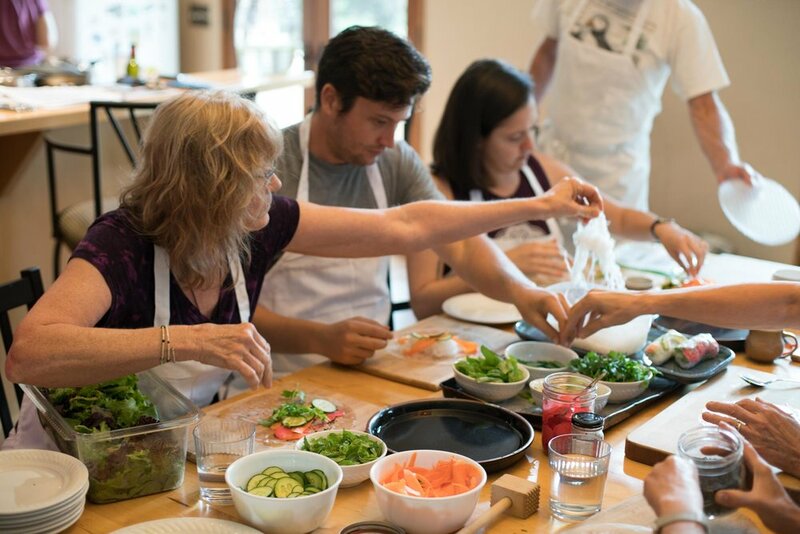 Currently, I am teaching my own natural foods cooking classes for the Austin community, each limited to 8 students, with offerings such as Holiday Tamales Workshop, Creative Vegetarian Sushi, Nourishing Buddha Bowls and Dressings, Healing Winter Soups, and more! I also have a blog that focuses on healthy recipes and holistic health tips. When did you first become inspired to do what you love? In my 20's, I became interested in"Food as Medicine" when looking for alternatives to conventional medicine. I discovered the healing benefits of a natural foods diet, and learned how to use balance as a tool to choose the foods and activities that would create strength and vitality. After completing my certificate in natural foods cooking and macrobiotic studies, I was inspired to empower others to take charge of their health by providing personal chef services and cooking classes. I taught macrobiotic and Ayurvedic cooking in the professional chef program at The Natural Epicurean for 10 years. I am also a certified holistic, macrobiotic health counselor and work with individuals wanting to achieve optimal health or those experiencing a particular health condition. Can you tell us more about the what students can expect from your class? My classes are fun, hands-on, and informative. Group classes are limited to 8 people and private lessons are designed for just one or two people. Students can expect to learn about healing benefits of different ingredients and dishes, how to properly use knives and kitchen tools, helpful cooking tips and techniques, where to shop for ingredients, and more. Recipes are given out to students to make dishes at home. My recipes are nourishing, healthy, and delicious, naturally free of gluten, dairy, and sugar, and simple to prepare. What differentiates your classes than others? My classes are a combination of demonstration and hands-on, so that students can learn proper techniques and then practice. Some of my goals include educating my students about the healing benefits of food, how to make meals more digestible, and how to make the best choices when selecting food at the grocery store and eating out. I love to work with families, involving kids in meal preparation, and introducing new ingredients and cooking techniques to parents and kids. I am aware of the many diet restrictions people have, and ask my students before class if they have any food allergies I may be able to accommodate. All of my classes are free of gluten, dairy, and sugar, which is a help to many. What's your biggest achievement since the start of your classes? The process of building friendships and alliances with people in my community while building my business has been the most rewarding experience so far. What was your biggest challenge you've encountered thus far? The biggest challenge has been shifting from teaching at a culinary school to creating my own community cooking classes. Getting the word out and getting folks to sign up ahead of time is challenging! What advice can you give to people within your industry? Start small and let your business grow organically. Give a cooking demonstration at a community event, a friend's launch party, or a kid's birthday party. Ask a few friends to each host a cooking party at their house with different groups of friends where you teach a fun recipe or two. Find an event space or renovate your own kitchen to teach in. Learn how to take good food photos and share them on social media. Document recipes you make daily in the kitchen that you can use for class recipes later on. Browse magazines, cookbooks, and food blogs for ideas and inspiration. Pretty soon people will be asking you how to sign up for one of your classes! 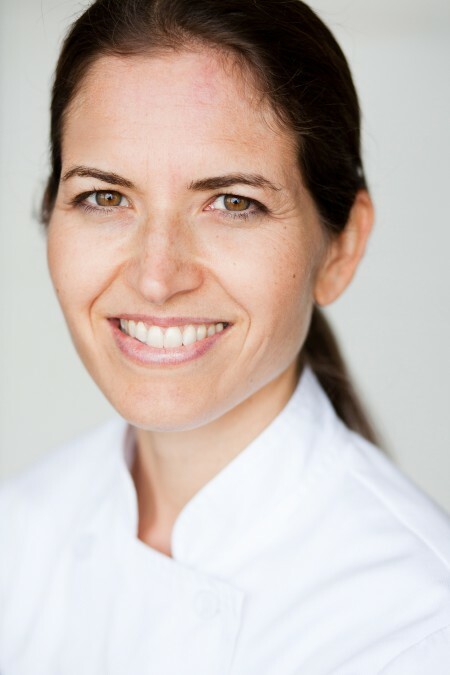 If you're in Austin, Join Chef Rachel and experience a hands-on activity cooking class!